Europe’s true wilderness is found not in the Alps, but the northern reaches of the continent from the 57th parallel north into the Arctic Circle. It is land commanded by glaciers, sheer fjords, otherworldly mountain terrain, and extensive coastline. Norway is not conventional wilderness, but is as expansive, uncultivated, and uninhabited as anywhere on the continent, and its wonderlands speak directly and loudly to those who love wild country. People often imagine the Nordic countries as geographic equals, but in reality Norway stands apart from its relatively flat neighbors. Norway is mostly mountainous, reaching a crescendo in the Jotunheimen range, the home of Northern Europe’s highest peaks. It also has the good fortune of being located along the Gulf Stream, which keeps temperatures considerably more moderate than Sweden, Finland, and places of similar latitudes such as Alaska and Siberia. Wherever you go in Norway, the landscapes will be austere but as beautiful and wide open as any. The country is made for exploration; one can hike its entire length from north to south exclusively by way of public huts. In the winter, the land is frozen but the Norwegian people may be even more active. 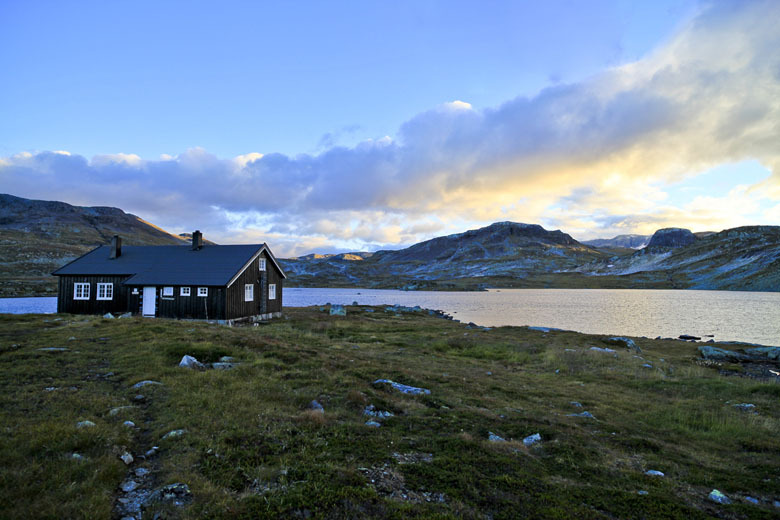 A devotion to nature is ingrained in Norwegian culture—embodied by the word friluftsliv, or the open air life—and after going there you will have a fuller understanding why. Bodø is the main point of departure for the ferry to the Lofoten Islands. Taking the ferry saves significant time compared to driving and the port of arrival at Moskenes is less than 10 kilometers west of Reine.​..